It is hard to find films about teenagers to be truly honest; most are raunchy comedies or contain some outrageous plot. The Honor List written by Marilyn Fu and directed by Elissa Down gladly do not fall into these troupes rather giving the audience a genuine story with heart. The film follows the volatile friendship between four girls Piper (Meghan Rienks), Isabella (Sasha Pieterse), Sophie (Karrueche Tran) and Honor (Arden Cho). Nearing graduation the girls have let their friendship fade until the untimely death of Honor brings them back together to fulfill a promise. 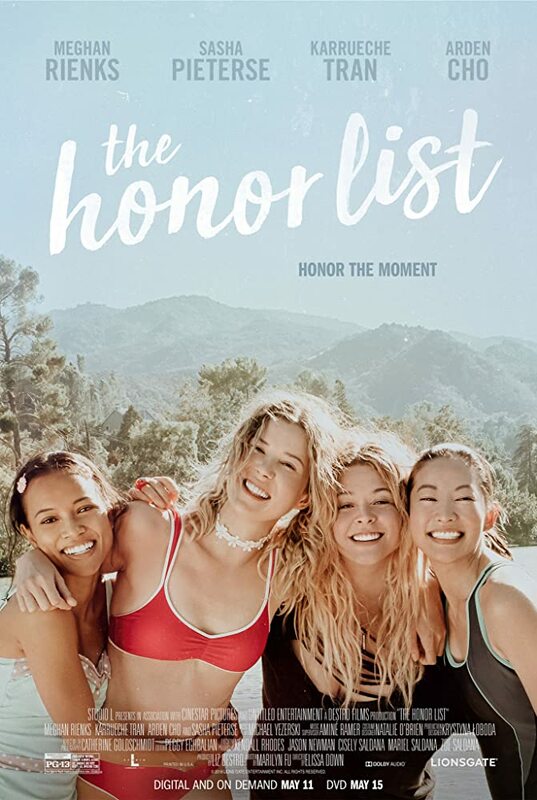 What could be written off as another cliché The Honor List offers many layers to its story that make this film feel so real. The reasons for these girls not being friends do not lie in superficial, meaningless acts but rather ones that are current today. Dealing with divorce, pressures of high school stature, body shaming, cyber bullying, choice to keep one’s virginity and death are all covered; these themes are handled so flawlessly by Marilyn Fu that it never feels over the top or preachy. The film is heavy in heart and endearing to not only women. It is a story of loss, growth and realization of what matters in life. I felt the cast was fantastic and worked great off each other. Down’s abilities as a director should also be recognized in that she never allowed the film to fall into one theme/feeling. She is able to weave a story that can pull you down one moment and laughing the next. The film’s crew was 60% female and that is a message in itself. This story lies in reality opposed to making it an exaggeration of high school or what happens to these young women. They each are their own person opposed to just fitting in a one dimensional cut out and watching their journey was a pleasure in itself.